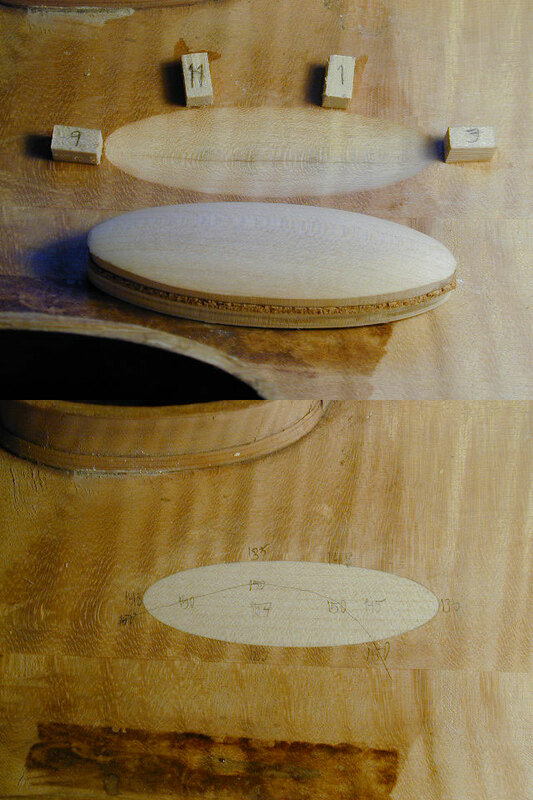 Violin neck base grafts, etc. 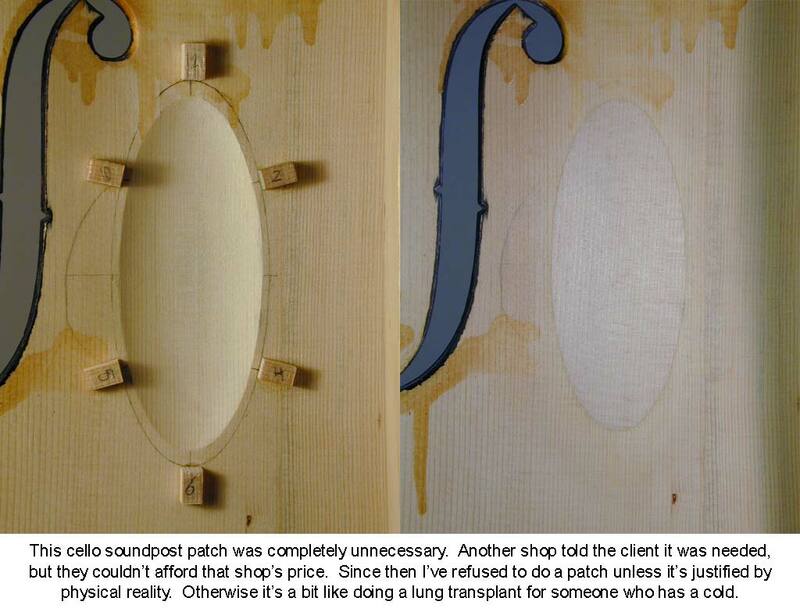 Violin top soundpost patch, etc. 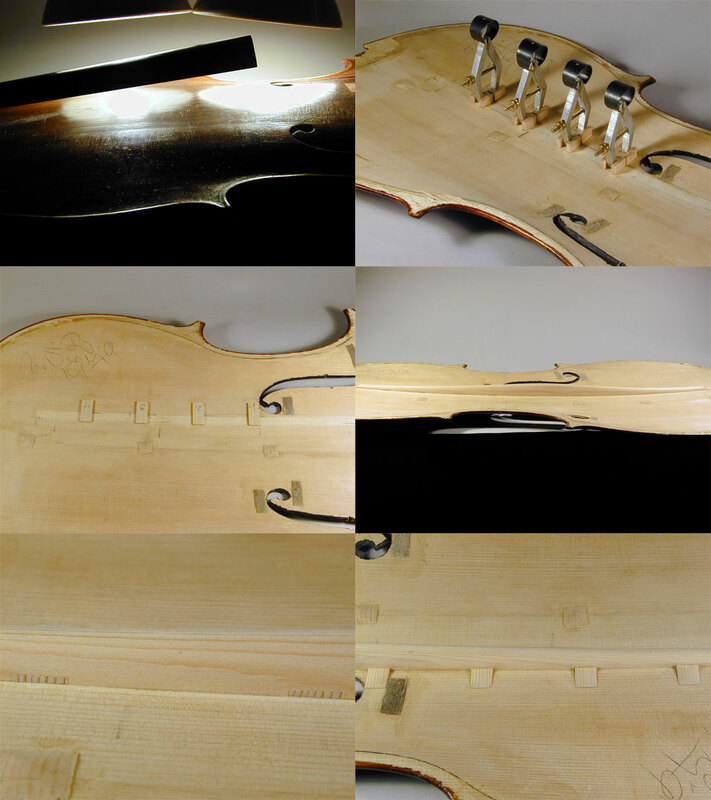 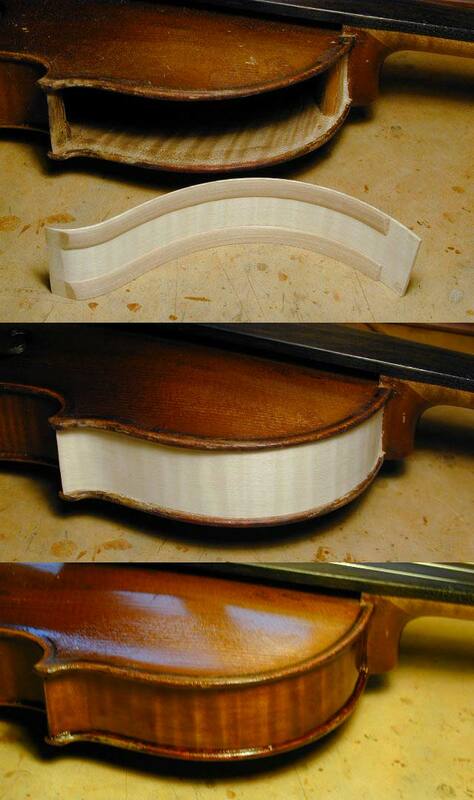 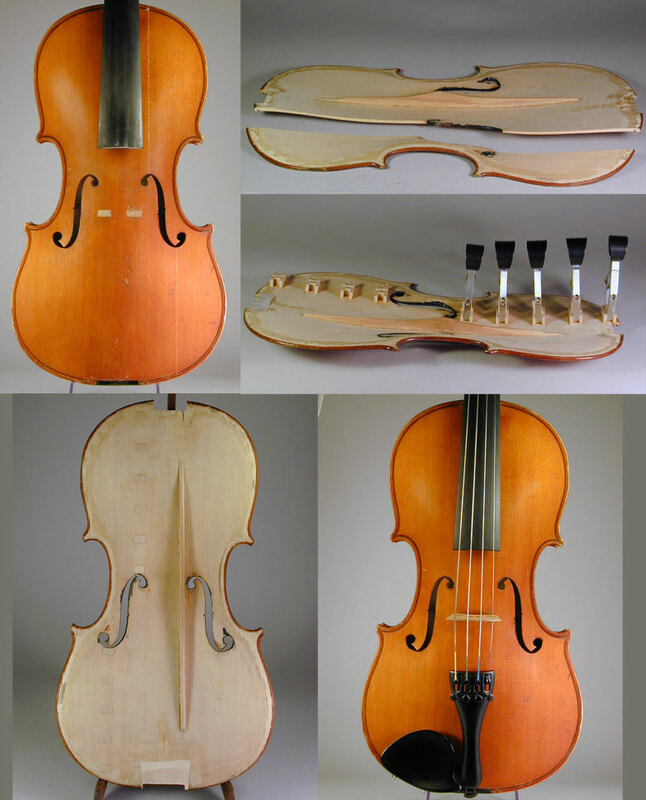 Part of the beauty of the violin is that it was designed to be assembled with hide glue. 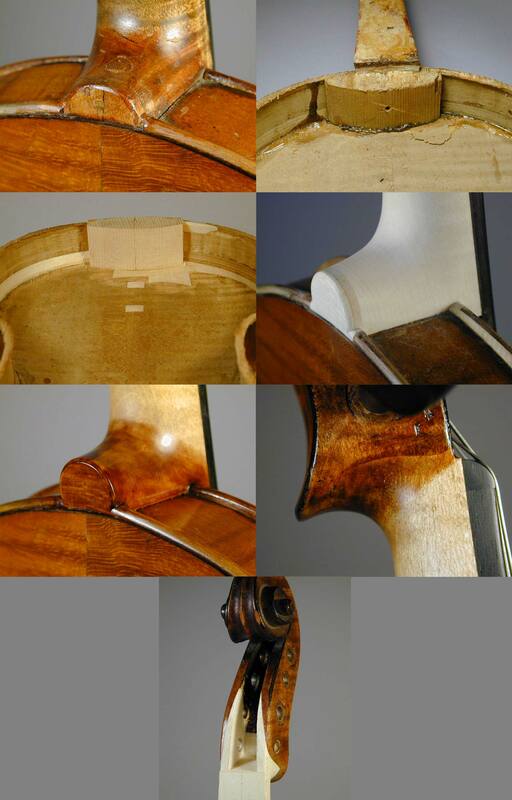 The use of hide glue means that the instrument is repairable. 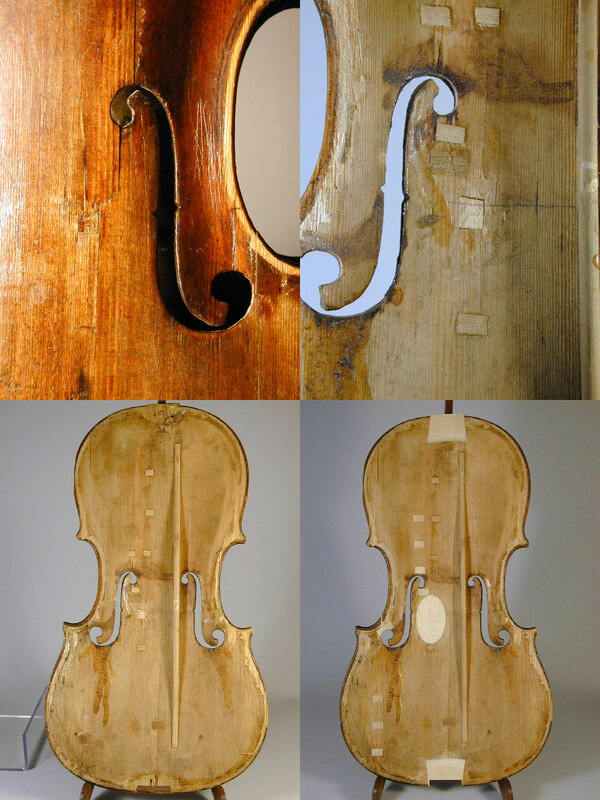 Hide glue has been used for thousands of years and it is still the best glue for violins. 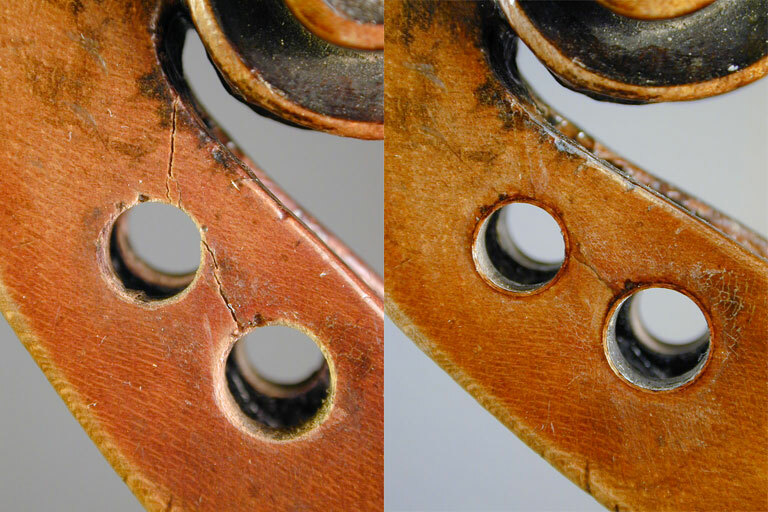 When dry it is harder than steel yet it remains completely soluble in warm water. 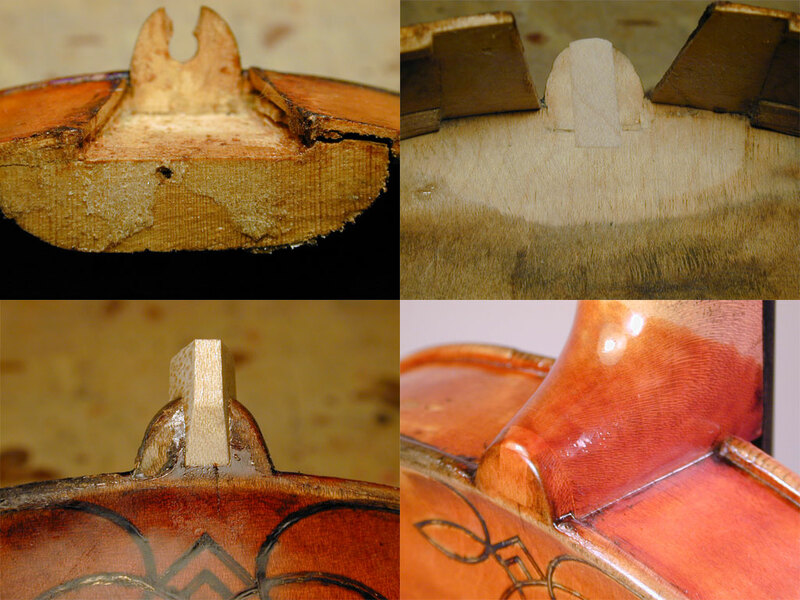 It's not as easy to use as synthetic glues, but the results are superior. 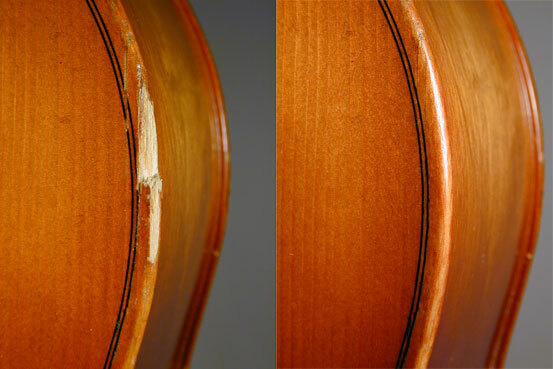 Synthetic glues are not reversible. 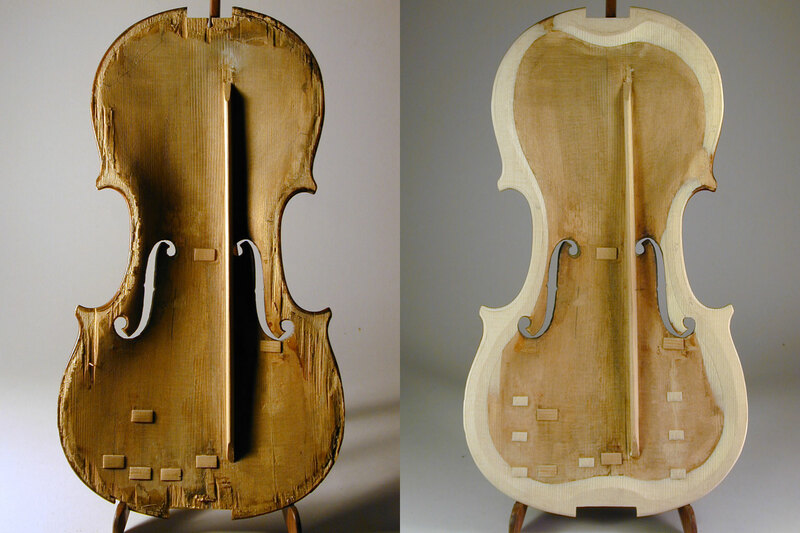 I fear that many stringed instruments will be lost due to the use of synthetics, especially superglue. 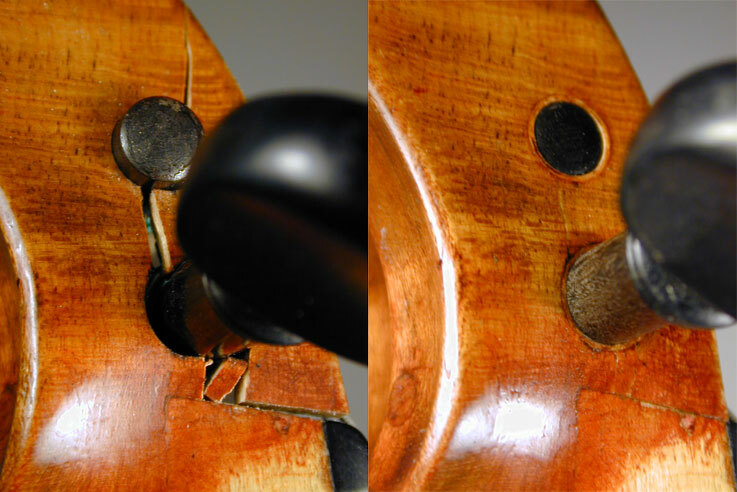 Don't be tempted to try to repair your own instrument with superglue. 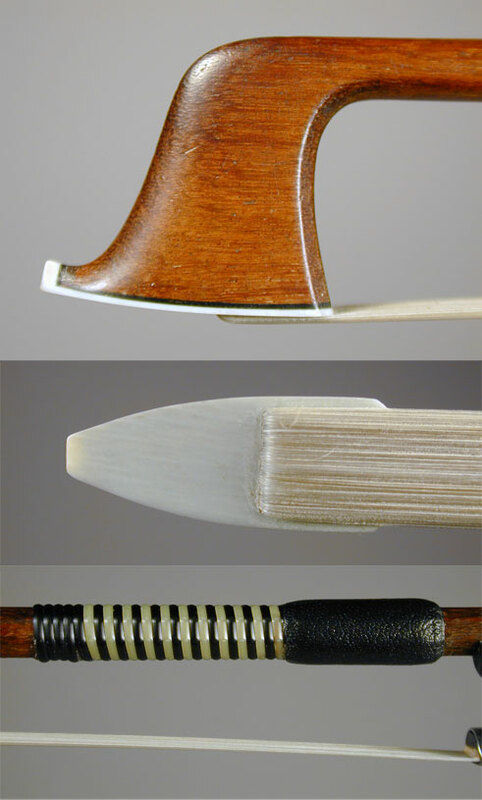 It's not worth it.